I love this map comparing city density size if we were all to live in a single city or if all cities were the same density how much space would be taken up. When I was in high school I did a presentation that discussed that you could give everyone in the US a half an acre of land and it would not even be the size of Texas. 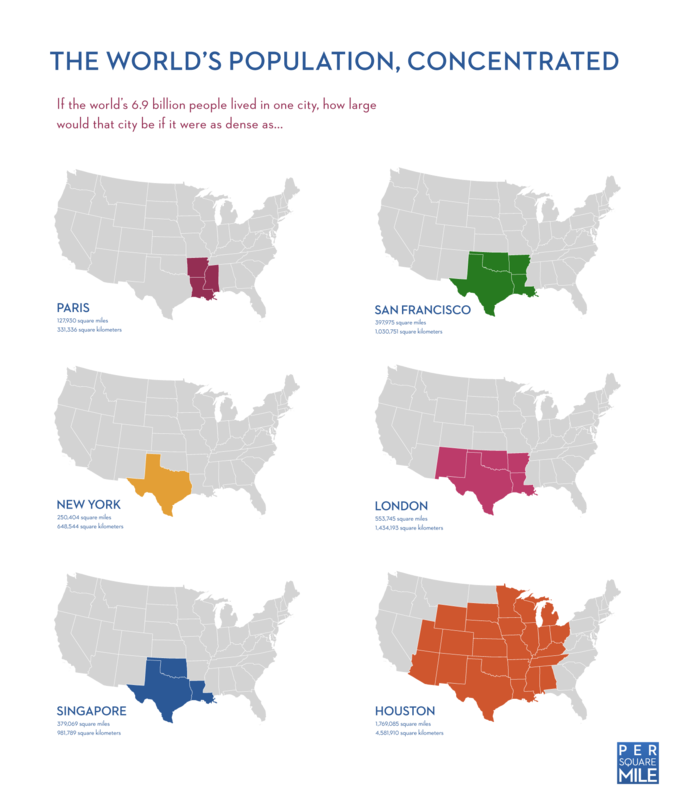 174 million acres of Texas and about 300 million people that would leave a lot of space in the rest of the US.